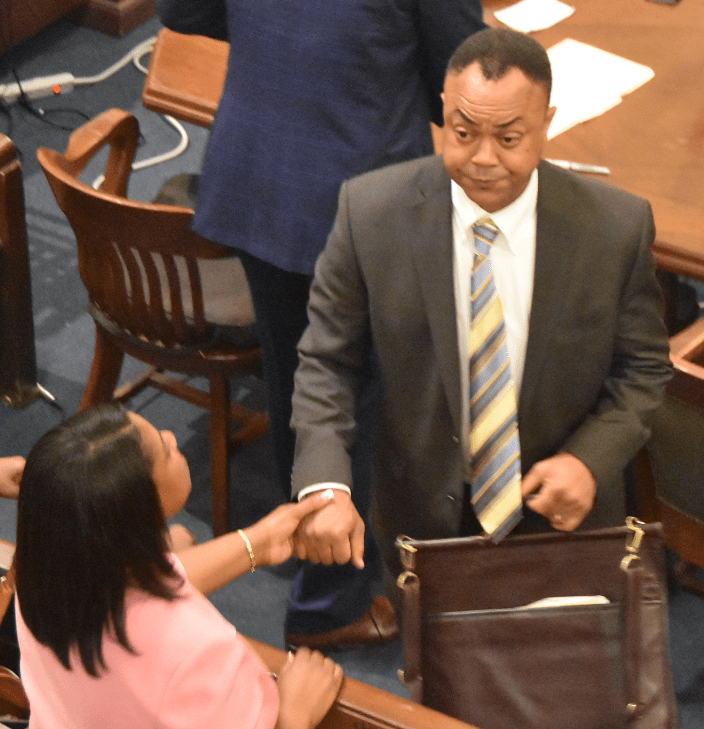 It took the jury nearly four hours to render a unanimous decision in the second trial of Hinds County District Attorney Robert Shuler Smith, that lasted for seven days. Smith was acquitted of two counts of conspiracy to hinder the Attorney General’s prosecution of drug defendant Christopher Butler and one count for aiding or counseling a defendant. He could have faced up to 10 years in prison and a $10,000 fine had he been found guilty. The jurors returned to the court room around 7:30 p.m. Tuesday and handed Special Judge Larry Roberts a hand written note of their findings. Smith sat and waited with much anticipation as Roberts read the verdict. After an hour and a half of deliberating, the jury made up of five black females, five black males and two white females sent Roberts a note saying, “they were split 10-2,” in their verdict. Roberts sent word back to them to continue deliberating until a unanimous decision was reached.